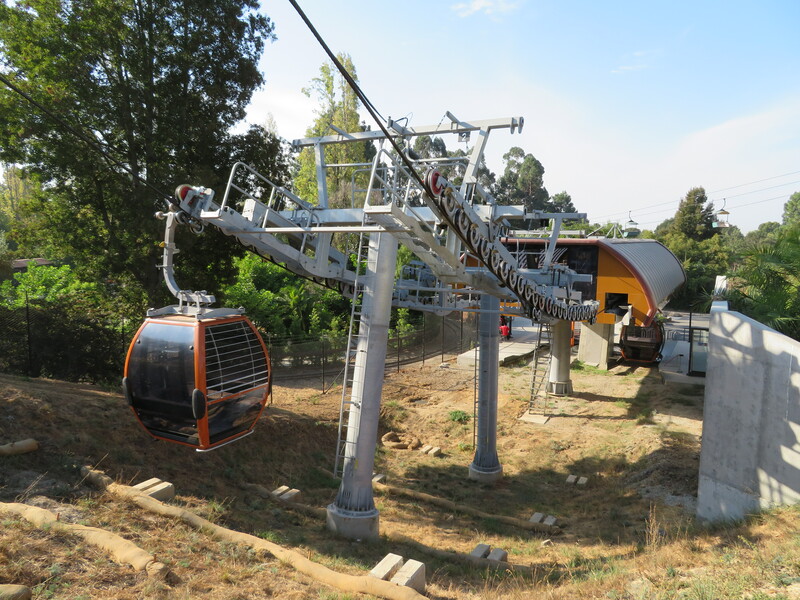 Oakland Zoo stepped up its game this year, building a major expansion accessed exclusively by gondola, one of many across California. 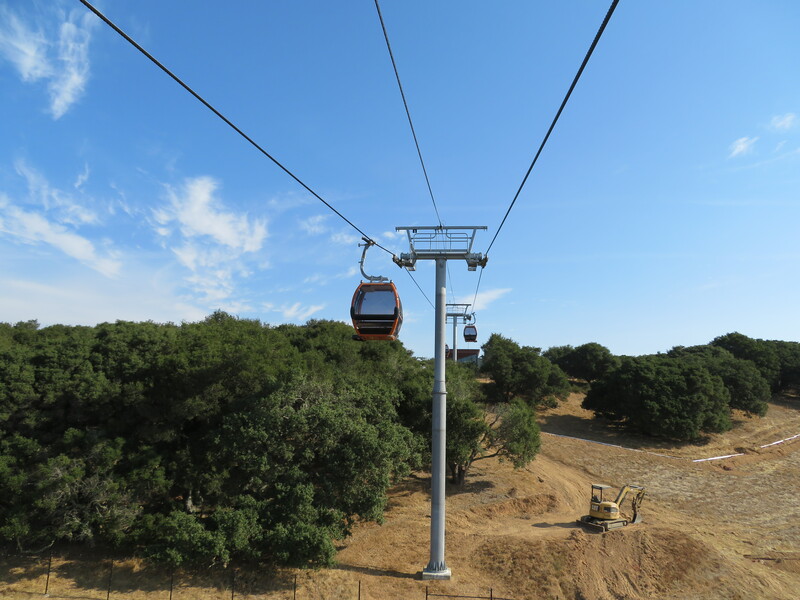 From flying over bison to coasting through redwood forests, wine tasting and beach cruising, visitors to California can do it all by gondola even when far from ski country. 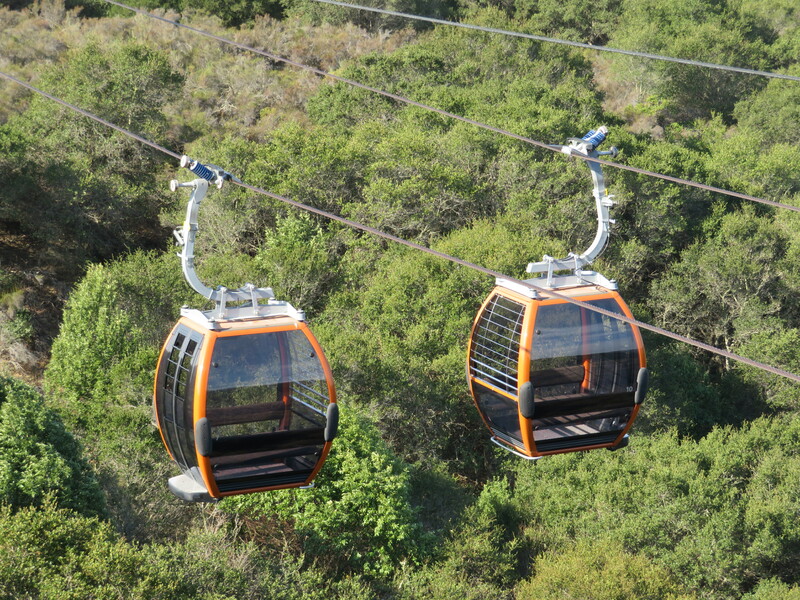 In every major region of the vast California Republic, gondolas greet more than 250 million annual tourists, providing unique experiences and spectacular views in one of America’s most diverse states. 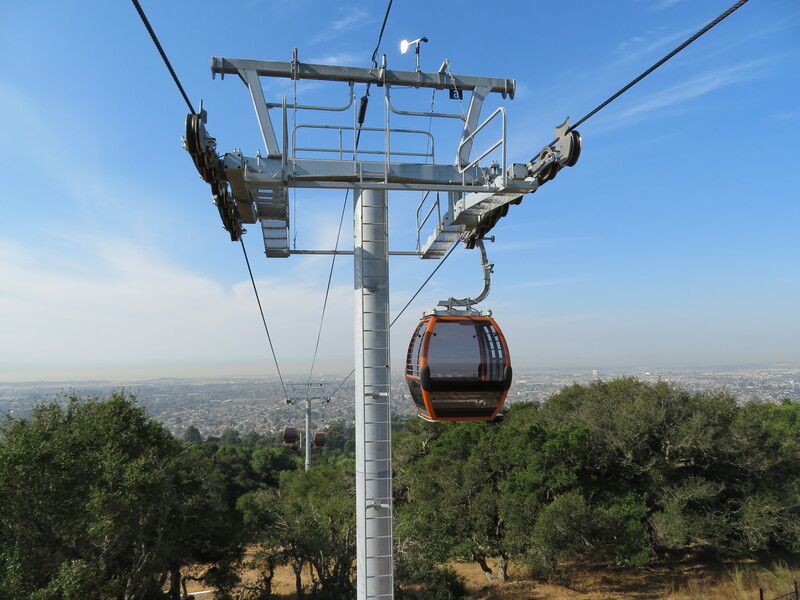 California’s newest gondola debuted at the Oakland Zoo in June, whisking guests on a three minute safari to an $80 million experience called California Trail, which features animals native to the Golden State. 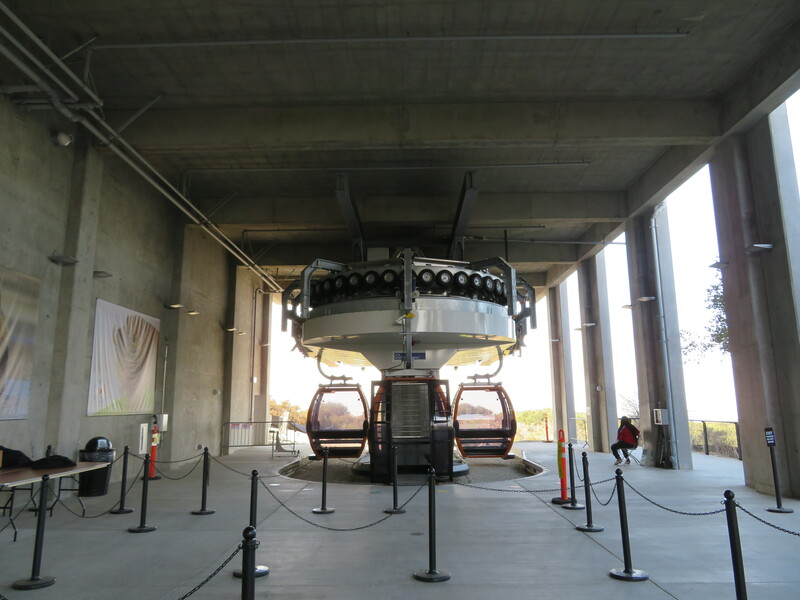 In some ways this is America’s first urban gondola with the top terminal located in the basement of a combination transit station, restaurant and visitor center. 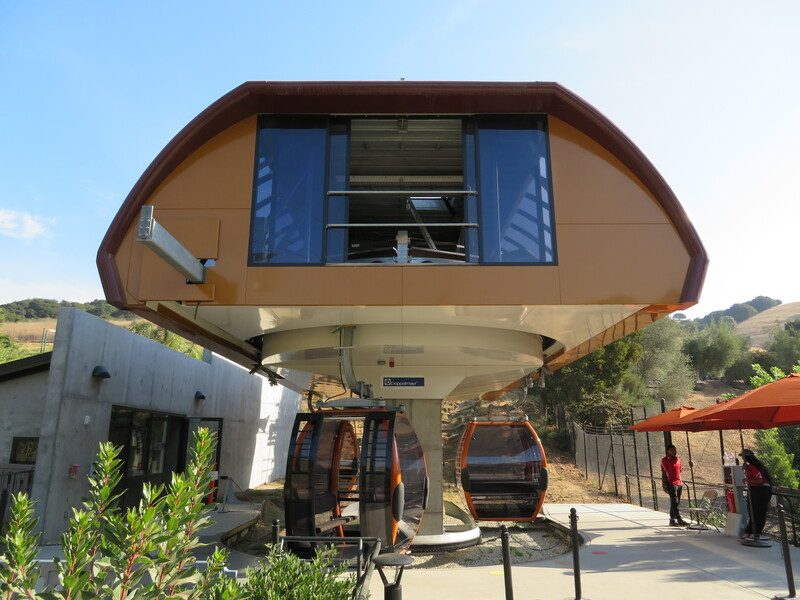 The Doppelmayr UNI-G system sports 17 cabins that can move 1,000 guests each hour between California Station and the new hub for wolves, bears and mountain lions. 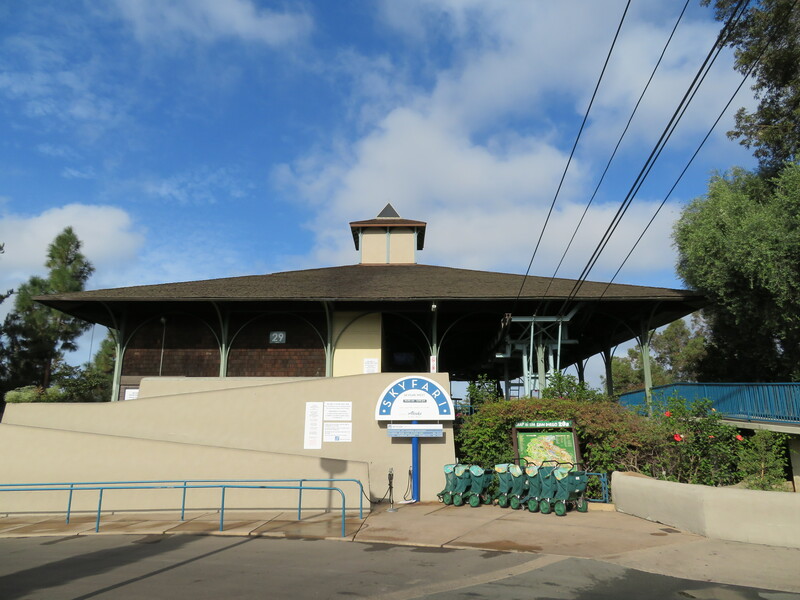 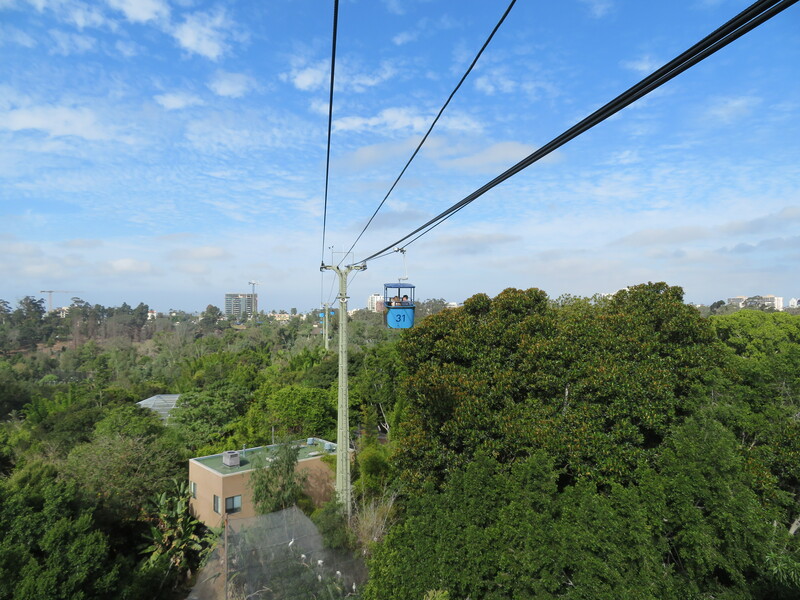 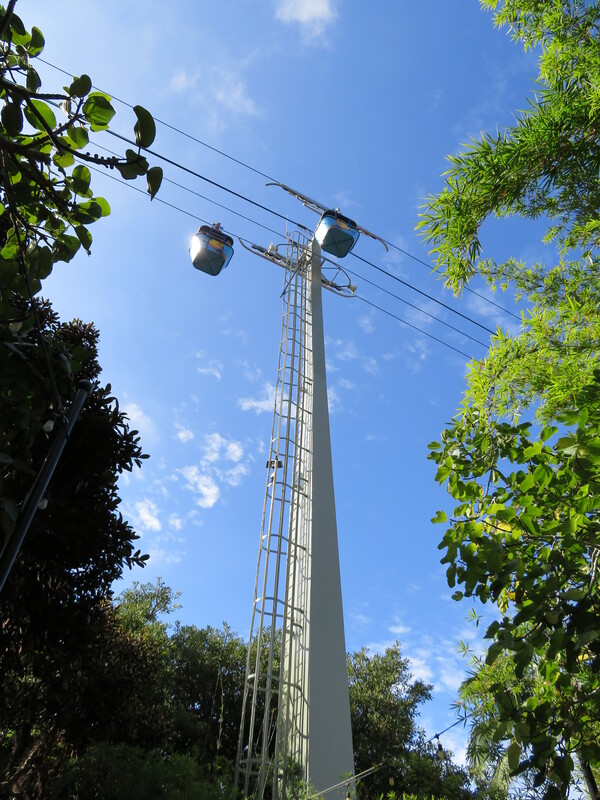 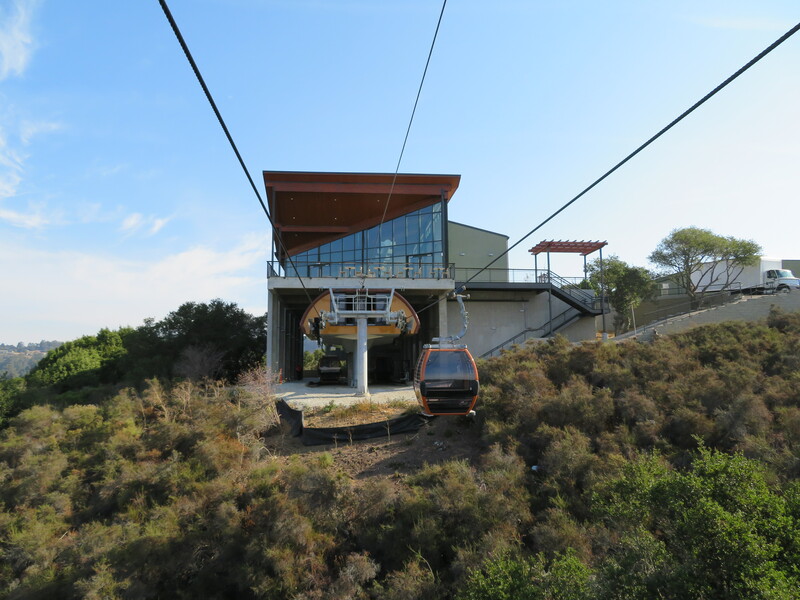 Even though the exhibits don’t open until next year, the gondola is already so popular that the zoo’s chairlift rarely runs anymore as guests binge-ride the California Trail lap after lap. 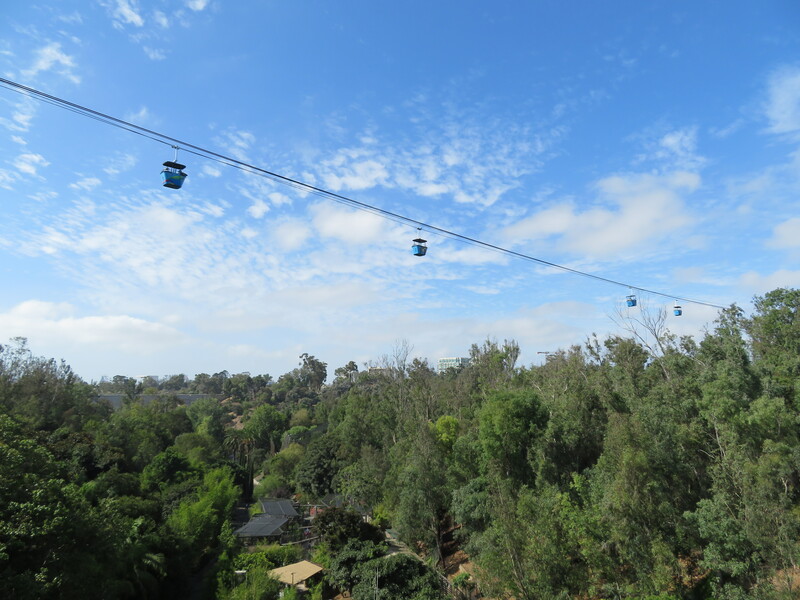 The VonRoll-built Skyfari is a big reason why the San Diego Zoo grew to become the most-visited zoo in America. 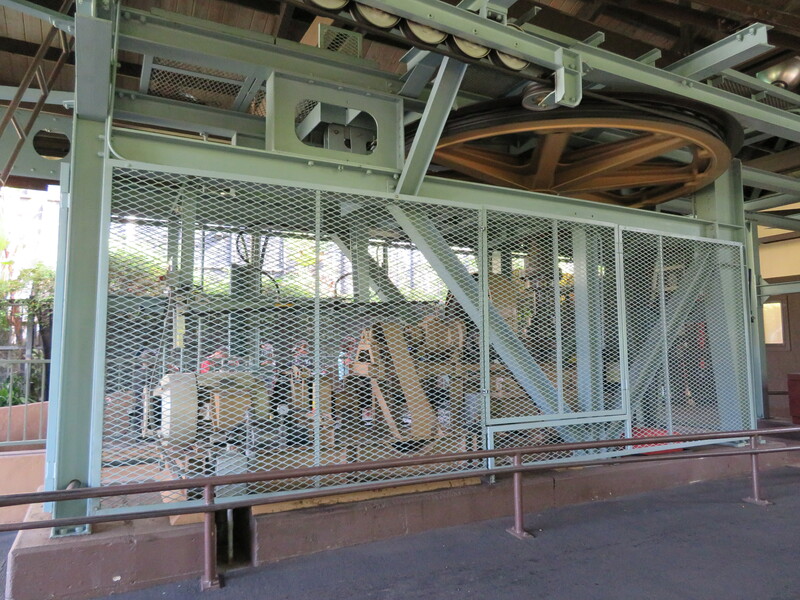 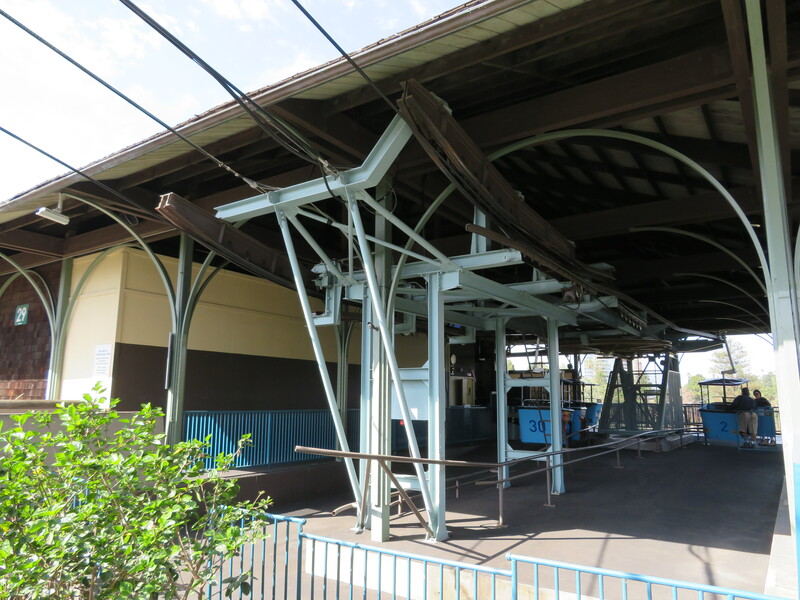 Since 1969, 42 four-passenger cabins have transported some 75 million riders from the east side of the park to the west. 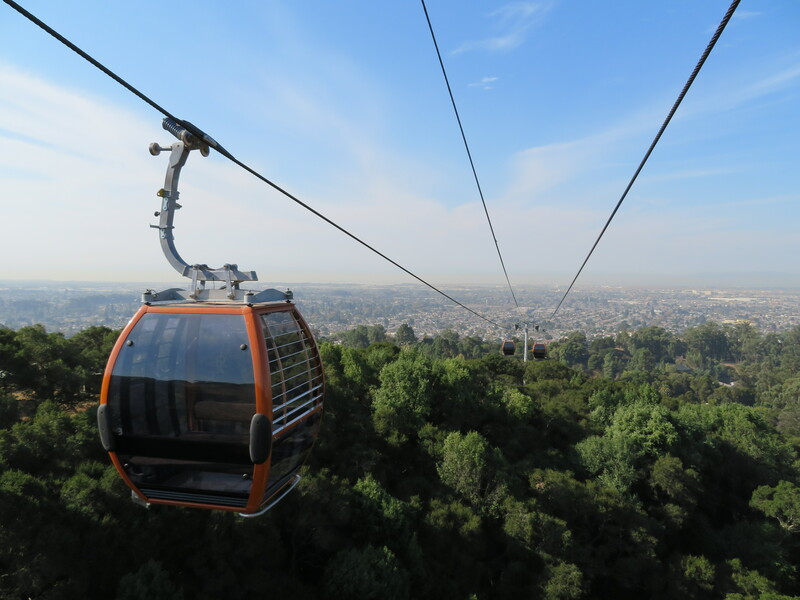 Today, the Skyfari operates more than 3,300 hours a year and an impressive 60 percent of zoo guests choose to take the ride, making it by far the most-ridden gondola in this most populous state. 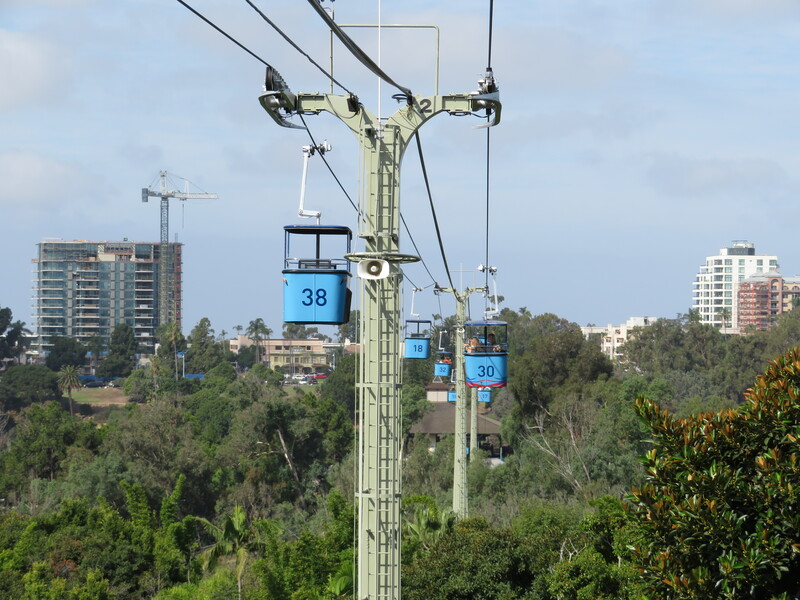 The lift’s four towers reach up to 89 feet, yielding zoogoers spectacular views of their surroundings and downtown San Diego. 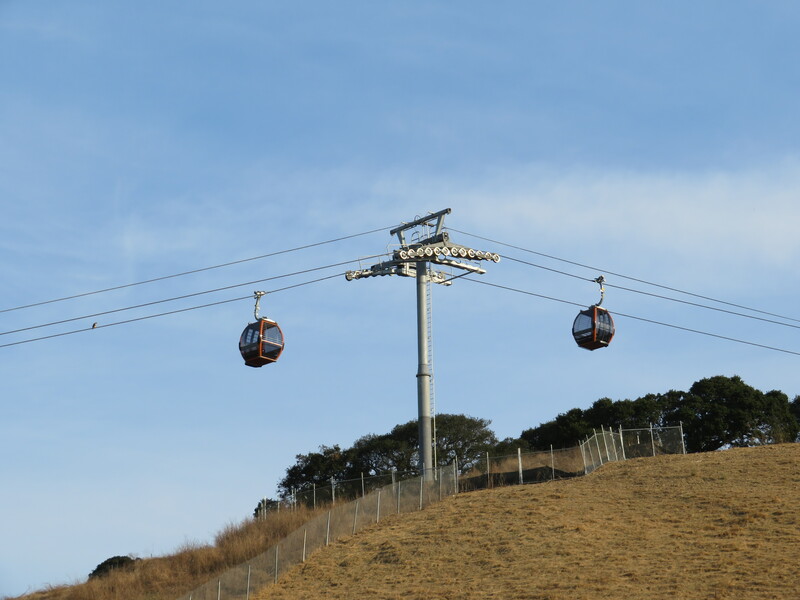 Now presented by Alaska Airlines, the ride is impeccably maintained and features updated Doppelmayr controls and automated cabin launching. 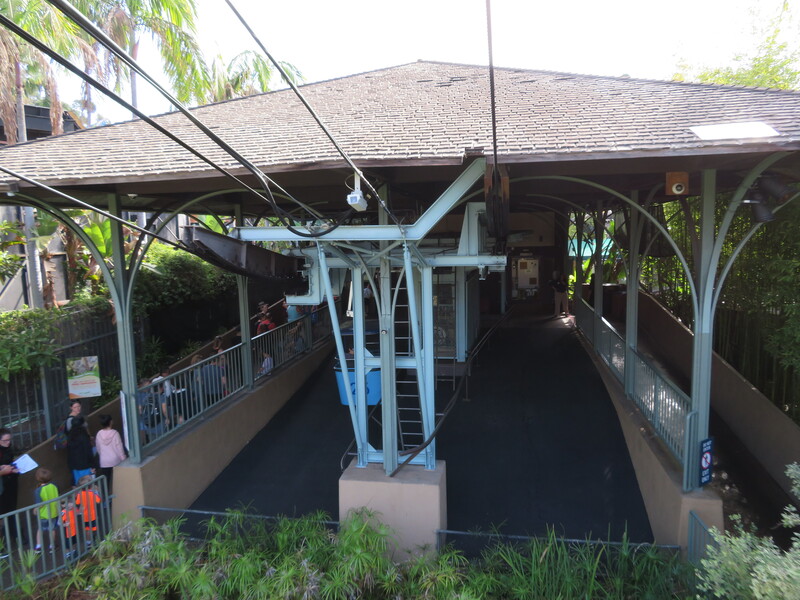 Just based on ridership, I wouldn’t be surprised to see it replaced with a modern system with more capacity in the coming years.